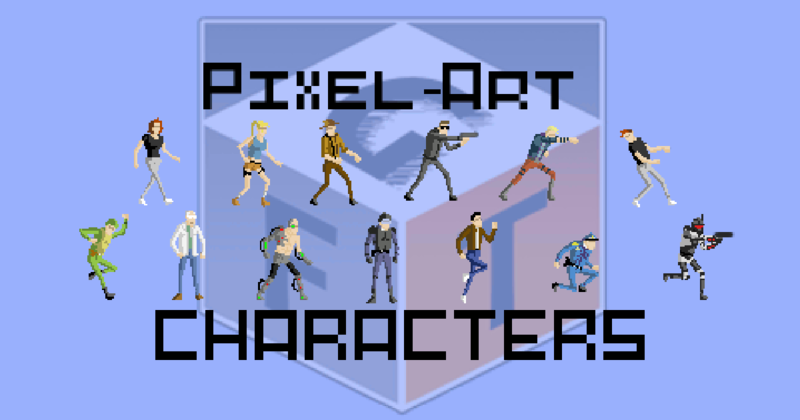 Good characters for 'Beat em up' games, 'Run and Gun' games, and 'Graphic adventure' games. Files in png format to be used in any engine. Also includes a Unity3d Package. Hi, I recently purchased this and it's great. Would you kindly share the original models please I would like to create more animations with the pixelator.